The latest coastal fishing boat from Sea Fox couples a complete package with a competitive price. 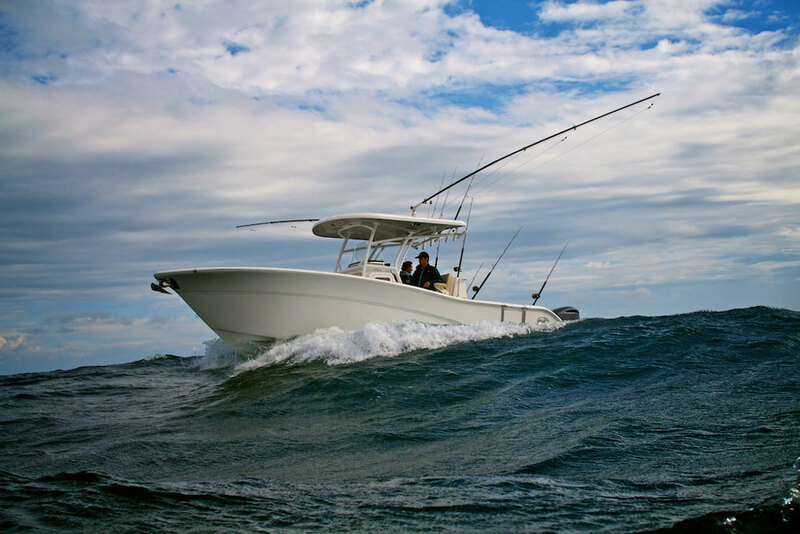 If you haven’t heard a lot about Sea Fox boats, that’s because the company doesn’t make a habit out of beating its own salty chest. Truth is, you'd be hard-pressed to find a better value in an open boat than the builder’s 226CC. 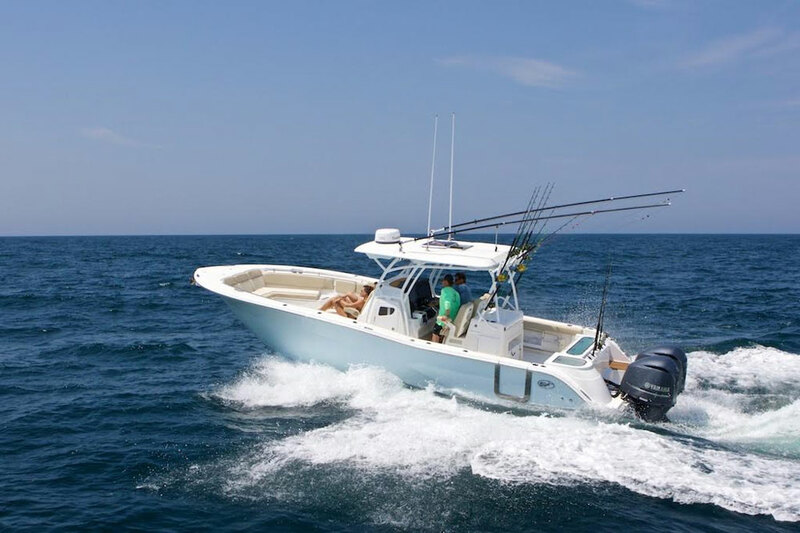 This family-friendly fishing machine with the lovely Carolina flare forward is also a turnkey trailerable rig that boasts one of the most attractive prices in its class. 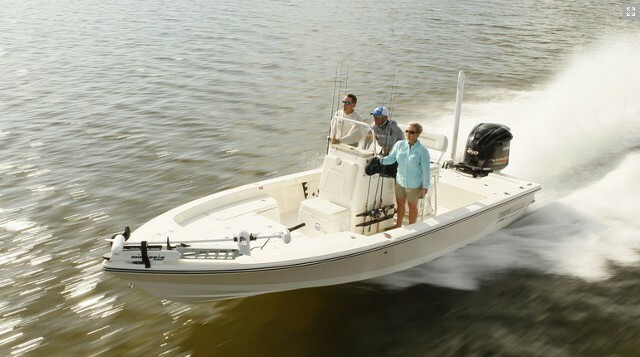 Shown here with a 250-hp Yamaha and optional T-top, the Sea Fox 226CC carries strong lines, with pronounced Carolina-style flare in the bow sections. 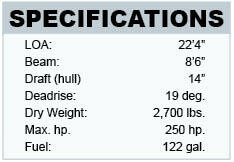 Powered by a single 150-hp Yamaha outboard, the 226 CC carries a retail price of just $46,329. 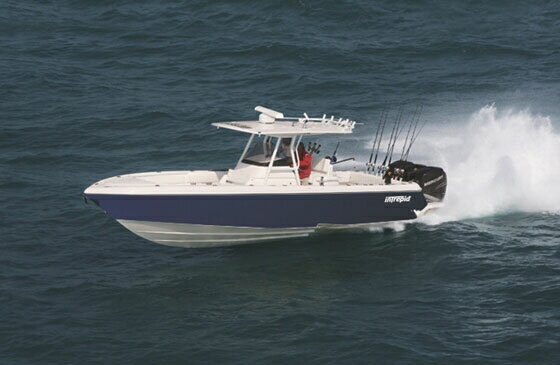 That includes everything from hydraulic steering and recessed trim tabs to a 40-gallon livewell, fishboxes, a private head compartment in the console, and thick cushions for all of the seats onboard. With that motor, the boat will do about 43 mph at the top end. For snappier performance, you can put a 200-hp Yamaha on the transom, which bumps up the cost by a couple thousand dollars to $52,483. To keep pricing competitive, Sea Fox eliminates a few niceties, like a fiberglass liner in the head compartment. And you’ll have to pay extra for options like the T-top. 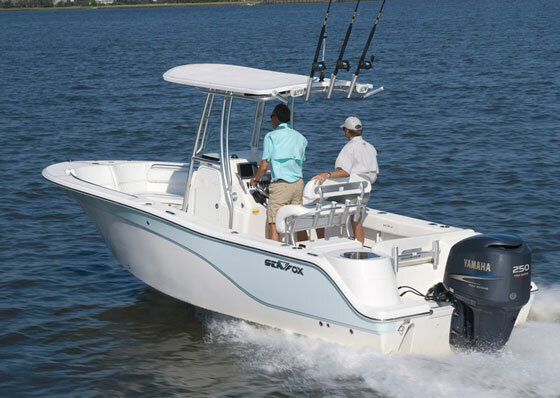 Yet Sea Fox doesn’t like to compromise the essential construction of this hybrid model, designed to fish or cruise in blue water. The builder employs Donald L. Blount and Associates to create the plugs from which all the tooling for the 226CC is made. This internationally recognized naval architecture, marine engineering, and yacht design firm is used by a number of the country’s top boatbuilders. 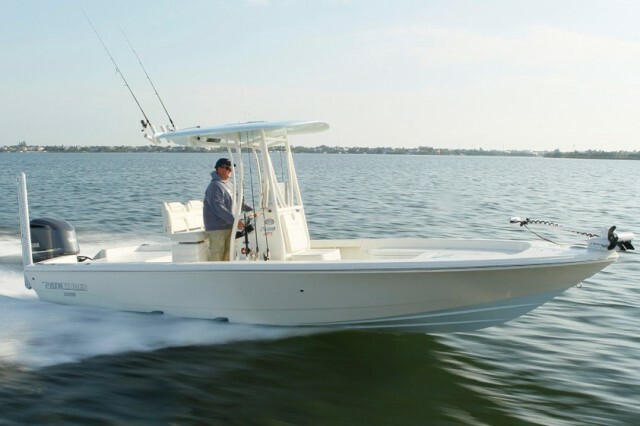 The 226CC is based on a modified deep-V hull that’s designed to offer a dry ride in rough seas. The Carolina flare has a lot to do with that, and that sharp forefoot is meant to cut through the green ones offshore without taking too many greenbacks from your wallet. 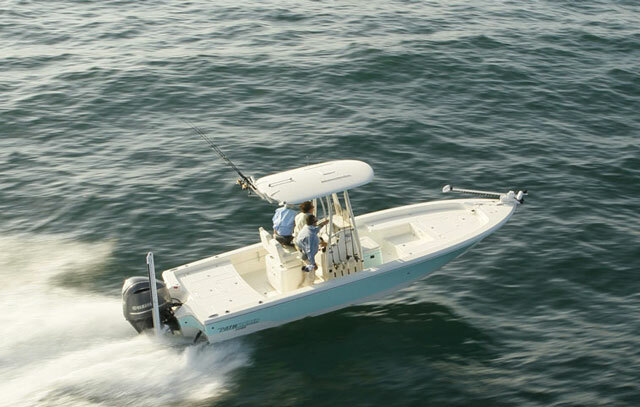 For more information, visit Sea Fox Boats. Jeanne Craig has been covering powerboats since 1988. She spent ten years as a senior editor at Boating magazine and ten more as executive editor at Motor Boating. She’s now an independent writer based in Rowayton, Connecticut, where she’s close to the cruising grounds she most enjoys.